Eating rich and creamy gelato may seem like an experience you can only have in Europe or at an upscale Italian restaurant in the United States. However, you can learn how to make vanilla gelato right at home — it’s easier to make than you think. 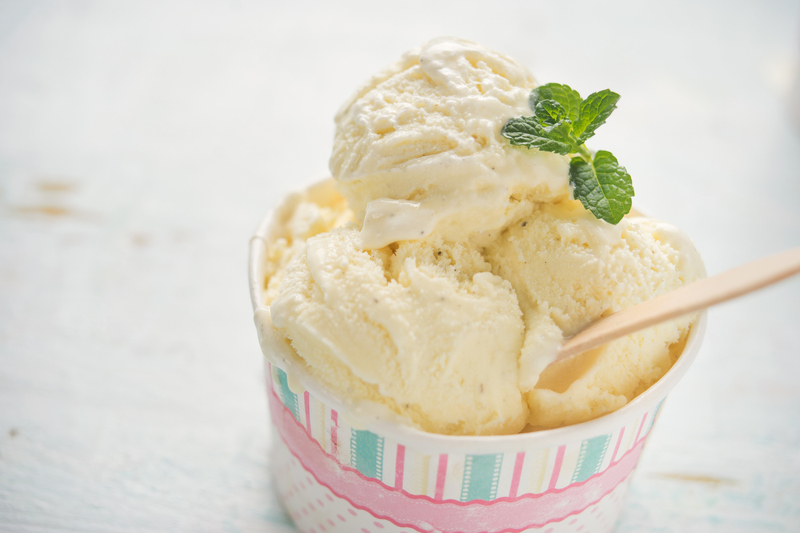 Our vanilla gelato recipe is a delicious treat to make at any time. Make it for a special occasion or serve it to your friends when you invite them over for dinner. If you do, they’ll surely be asking you for your vanilla gelato recipe! This sweet dessert is also great for those times when you feel like treating yourself. To see how to make homemade gelato, follow our recipe below! Cut the vanilla bean lengthwise using a paring knife, starting at the tip that slightly curls. Do not cut the whole way through the bean. Once the bean is cut, make it as flat as you can against the cutting board. Turn the knife on its side and run it down the bean, scraping out the inside. Do not dispose of the inside — set it aside. Beat the egg yolks and sugar in a large bowl until well combined — about two minutes. Heat the milk and heavy cream in a medium saucepan over medium heat. Add the insides of the vanilla bean along with the pod. Heat the mixture until small bubbles appear, but do not let it come to a boil. Remove 1/4 cup of the hot milk mixture and combine it with the egg yolks and sugar mixture. Add the egg mixture back to the milk mixture and cook until it thickens — about six to eight minutes — stirring continuously. Remove the vanilla bean pod. Strain the mixture through a fine strainer into a large bowl. Add the salt to the mixture and stir it until it’s well combined. Cover the bowl with plastic wrap, with the plastic wrap touching the gelato. Refrigerate the mixture overnight. Put the insert of your ice cream maker in the freezer and let it sit overnight, as well. Before putting the gelato through the ice cream maker, remove it from the refrigerator and put it in the freezer for 10 minutes. Reattach the ice cream maker’s insert and add the gelato. Turn on the ice cream maker. Serve the gelato immediately, or freeze it for up to a month. This homemade vanilla gelato recipe is sure to become a favorite. It’s easy to make and tastes fantastic. What could make it even better? Using Sauder Eggs. Our eggs are only of the highest quality because we set our standards high. To find Sauder Eggs at your nearest store, use our store locator today!